Stink bugs originated from Asia and were first spotted in Pennsylvania during the middle 1990's. 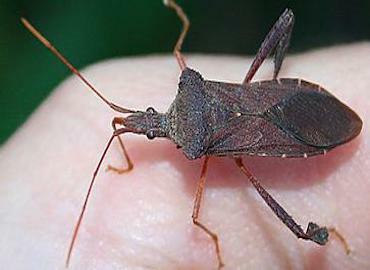 Stink bugs can now be found in at least 38 states. If you have a garden near your house or any kind of fruit trees or shrubbery be aware that stink bugs thrive in those types of environments. Signs that stink bugs might have penetrated your dwelling could be a new unfamiliar smell or visibly seeing them in the cracks of your doors or in your windows between the screen and glass area. The best way to prevent a stink bug problem is to try and control where your belongings travel to and closely monitor their return back home. Stink bugs can be eradicated and a trained pest control technician may be the only correct way to address any possible infestation.